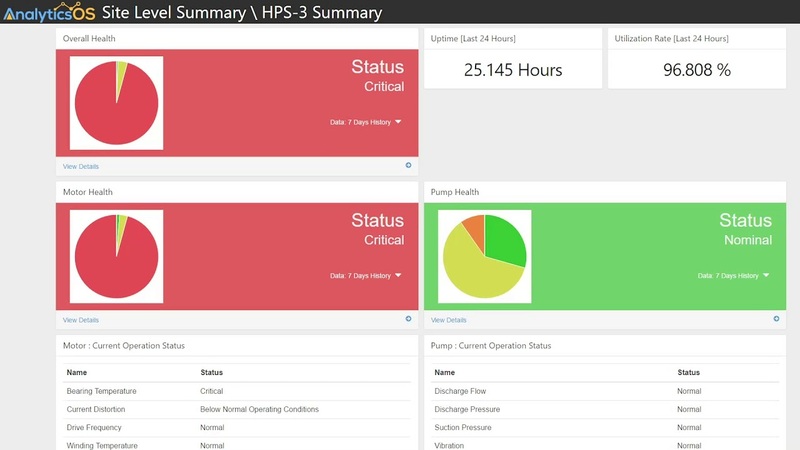 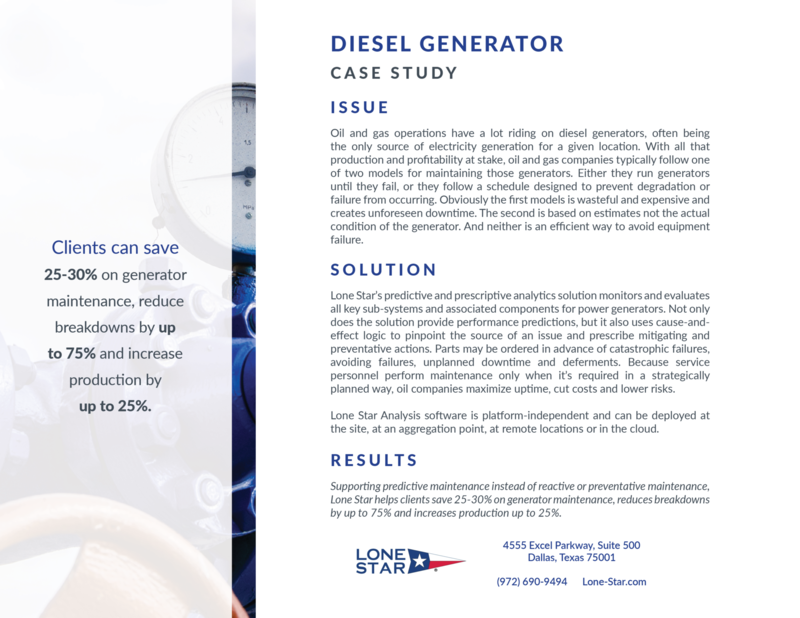 Our faster, better answers give energy companies the edge when their decisions really count. 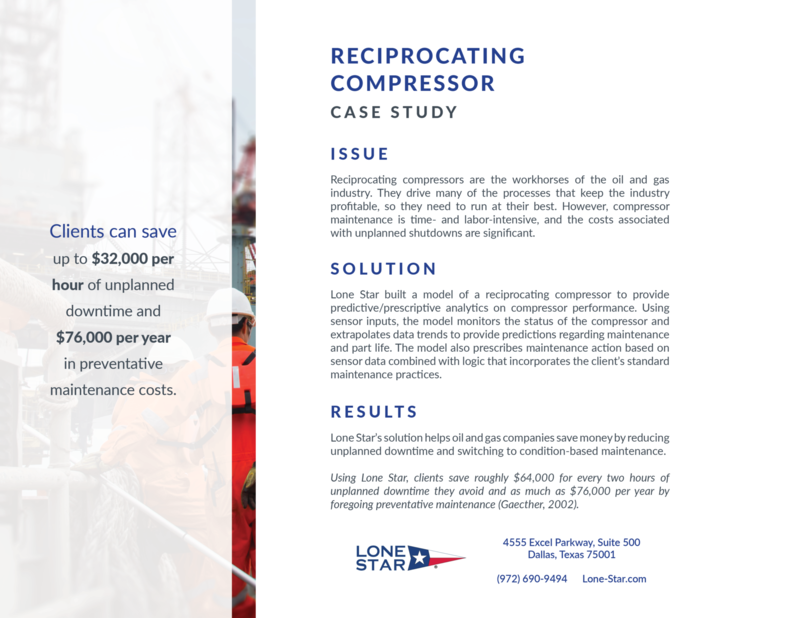 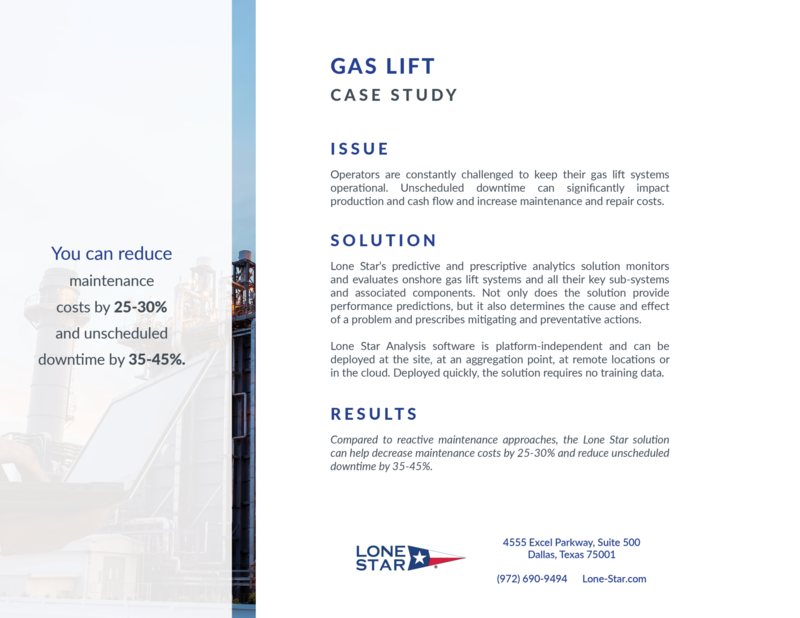 At Lone Star Analysis, we’ve helped businesses in every segment of the oil and gas industry improve asset downtime and operational efficiency to maximize their ROI. 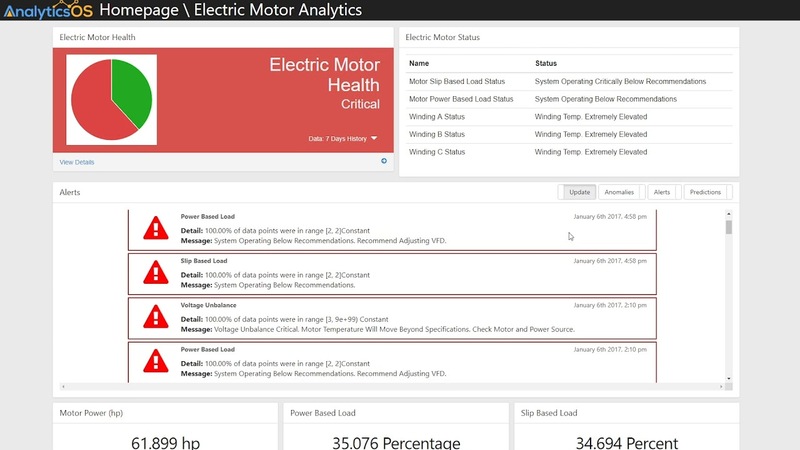 In fact, in every engagement, our client’s ROI has ranged from 20:1 to over 100:1 when they’ve applied our intelligence. 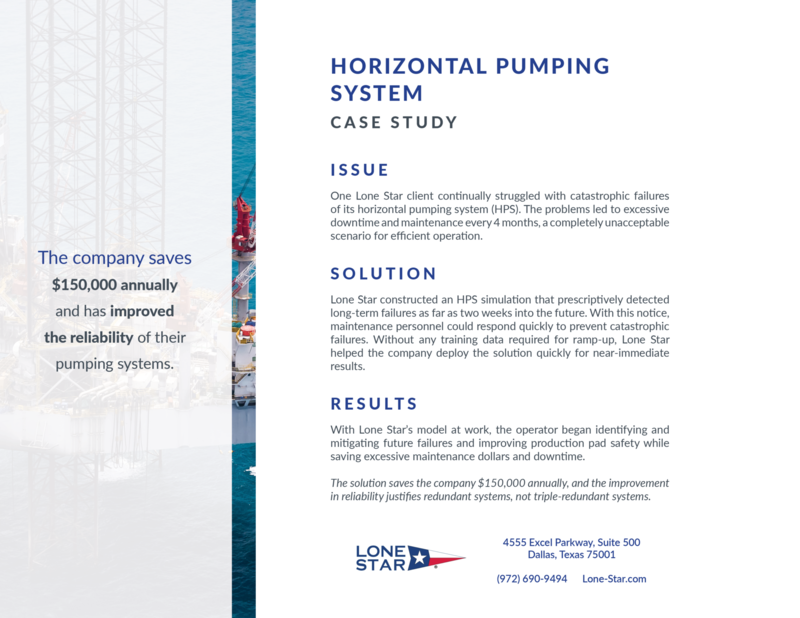 Even better, we can deploy our solutions more quickly than our competitors. 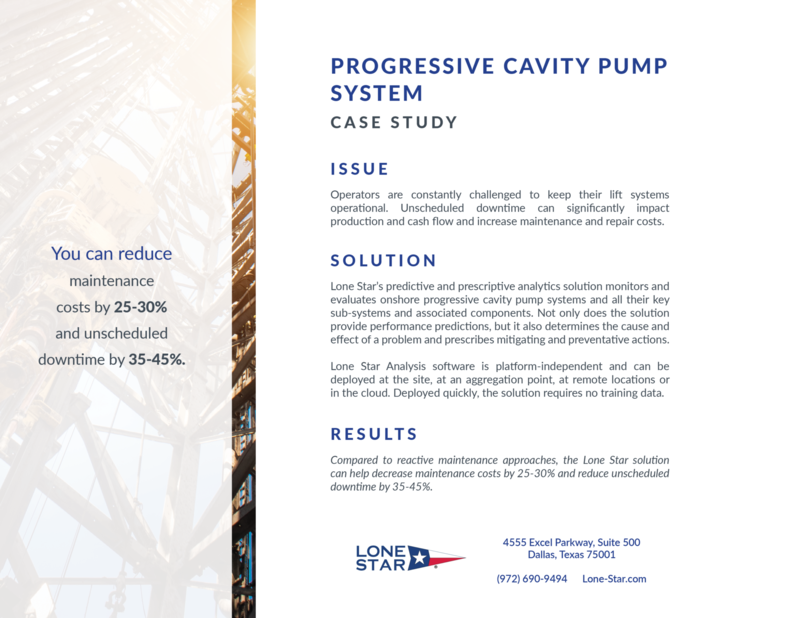 With no “training data” required, Lone Star can implement your solutions in weeks, not months, creating more value fast. 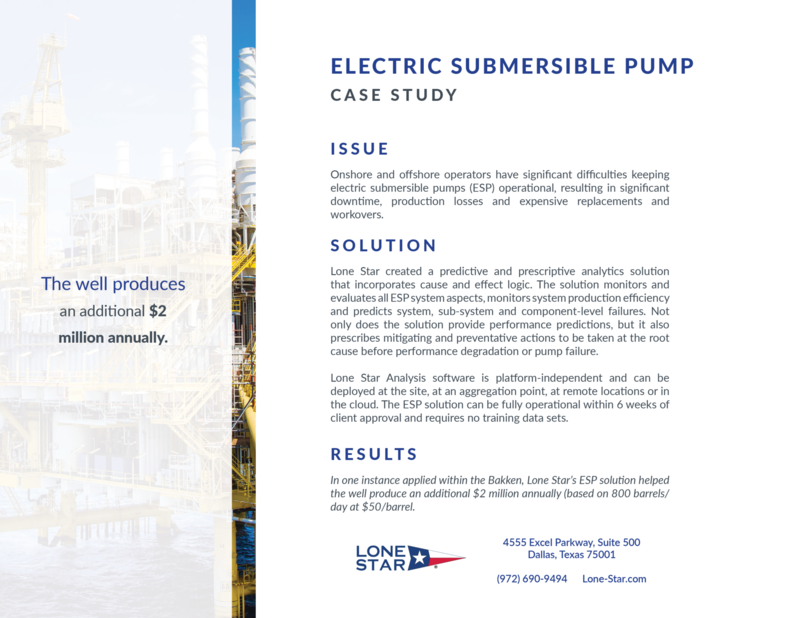 In the energy sector, ensuring optimal performance can have enormous financial and safety implications. 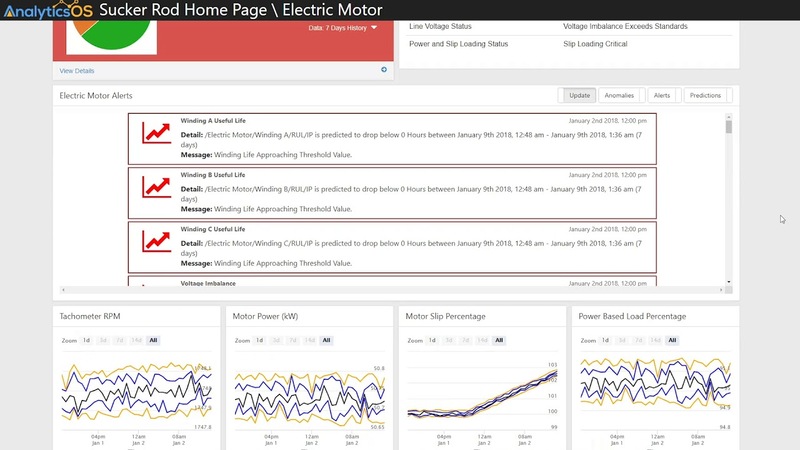 That’s why we believe it’s never enough to just predict an issue will occur. 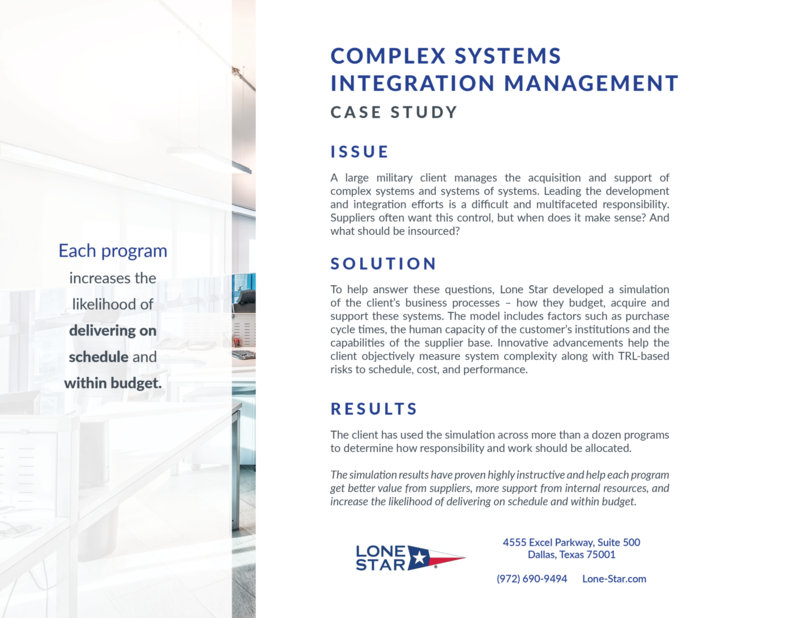 You need to know what will happen, when it will happen, where it will happen and what you should do about it, based on your specific business needs. 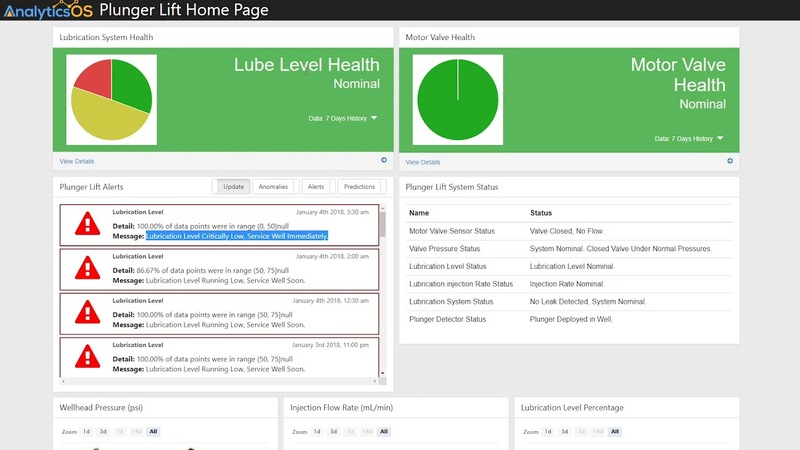 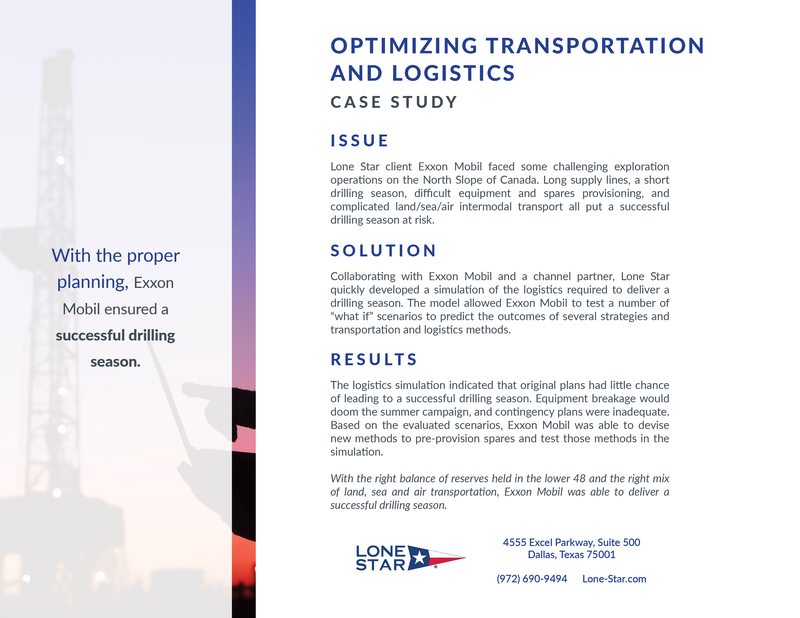 Providing these insights – and doing it with extreme accuracy – is what we do for oil and gas clients every day. 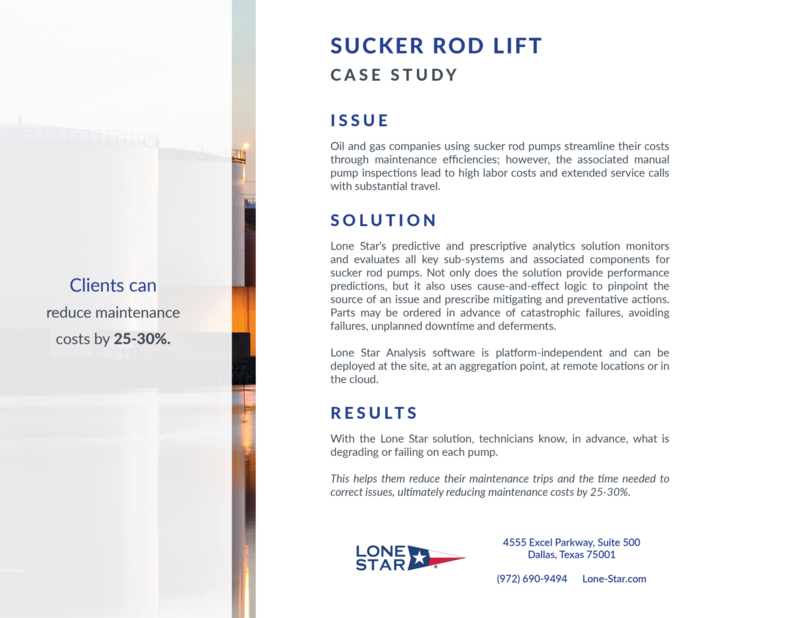 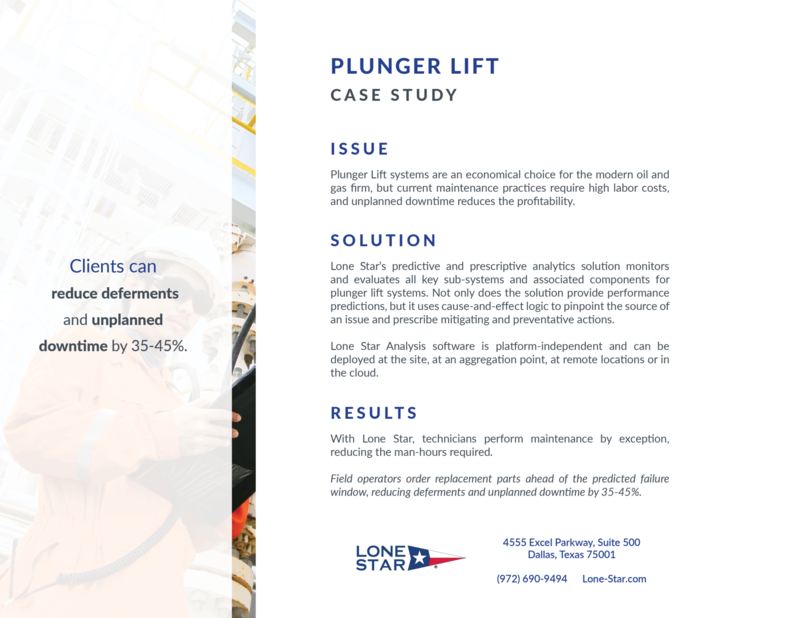 It provides oil and gas customers great confidence that Lone Star has worked on hundreds of projects since 2005 with a customer satisfaction rating higher than 97% while generating a business value measured in the billions of dollars.